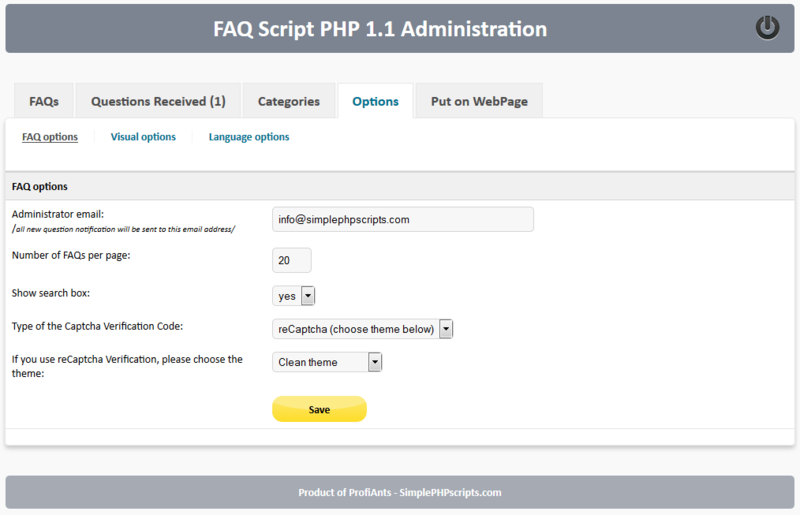 How to install FAQ Script PHP. Set up MySQL database. 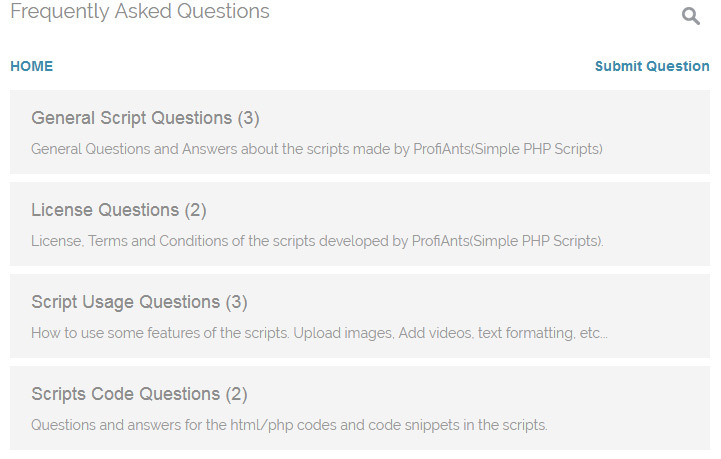 How to use FAQ Script PHP. 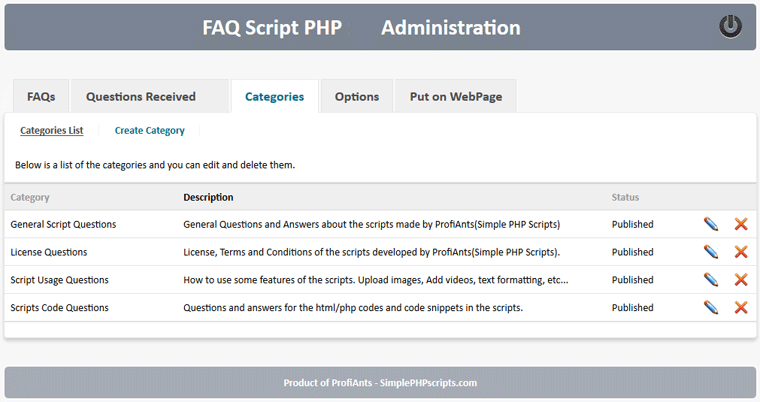 How to put FAQ Script PHP on your WebPage. Set Options, CSS style and Language(wordings). 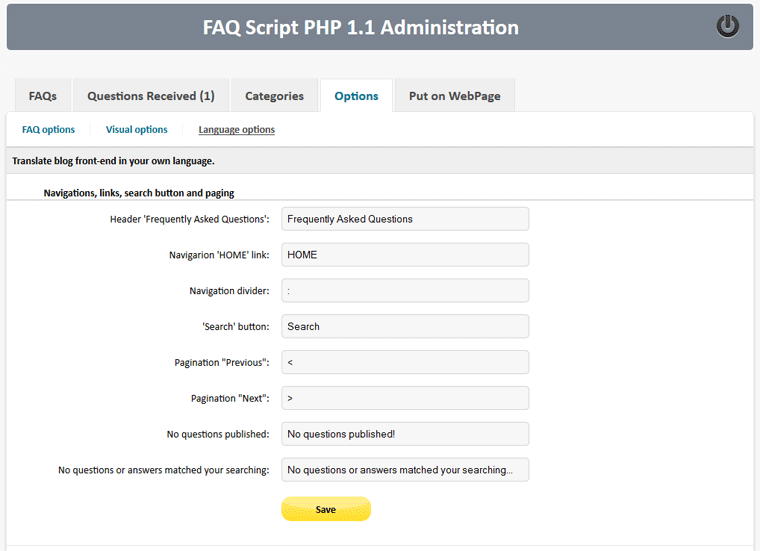 How to install Faq Script PHP? 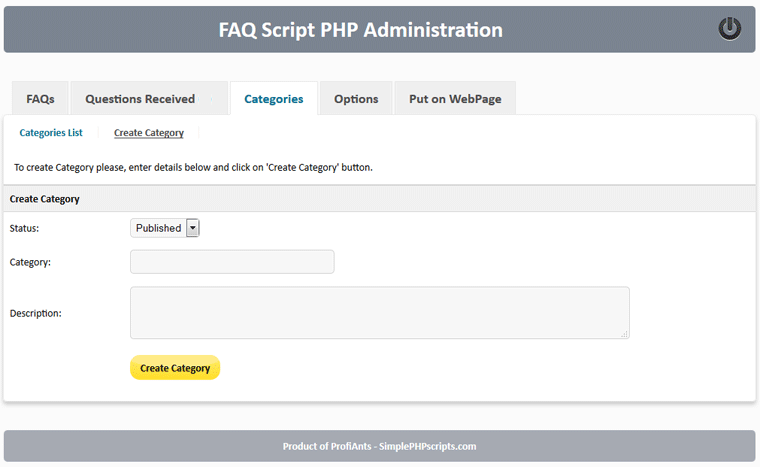 Faq Script PHP requires PHP 5.3 or higher version and MySQL 5.0 or higher version to run on your server - you can see the current version of PHP and MySQL in the control panel of your website. - Find the Databases section, where you will be able to create a MySQL database. - Durring database creation you will need to supply a Database name, Database user and password. You will also need to know the database server name — usually 'localhost'. Save all these details on your local machine for future reference on something such as Notepad. - If you use your hosting account's 'cPanel' to create your database you must set Privileges to "ALL" for the Database user. * note, that sometimes the servers does not send correct information about the version of MySQL and a message "Server version of MySQL is not ok!" might appear. The minimum requirements of MySQL for all of our scripts is version 5.0, so if you already created a MySQL database - go ahead and install the script. - Once you click on the link 'Login here', you will be redirect you to the administrator login page. 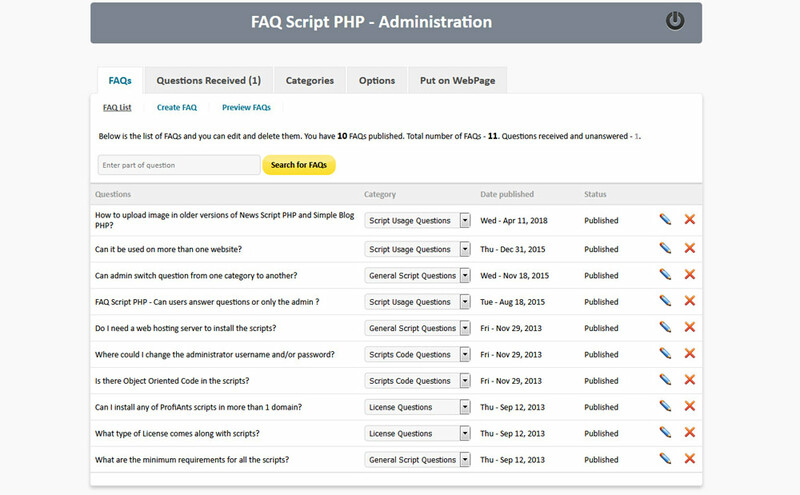 How to use Faq Script PHP? 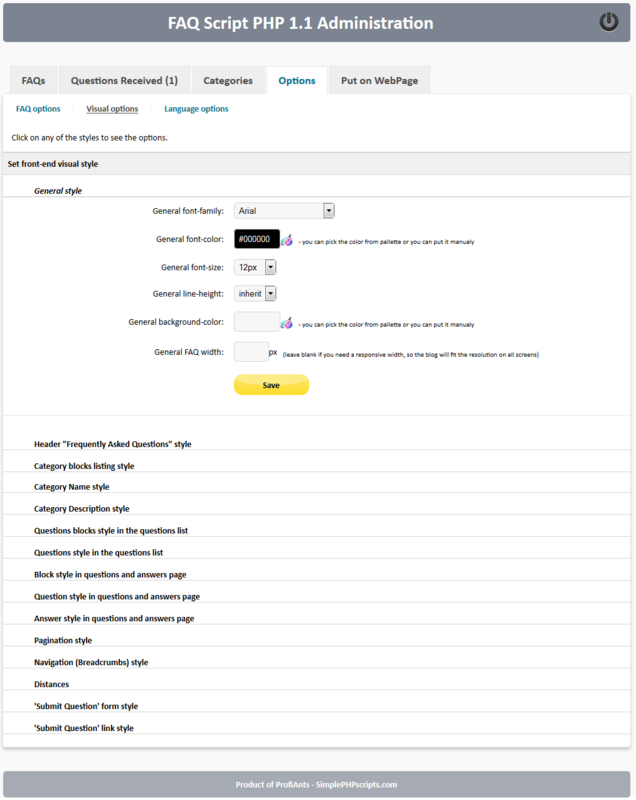 Fill the category name category and its description and hit "Create Category" button. On Categories List page you could edit categories details or delete them. * note that, when you click on "DELETE" button, a popup window will ask you to confirm the deletion. 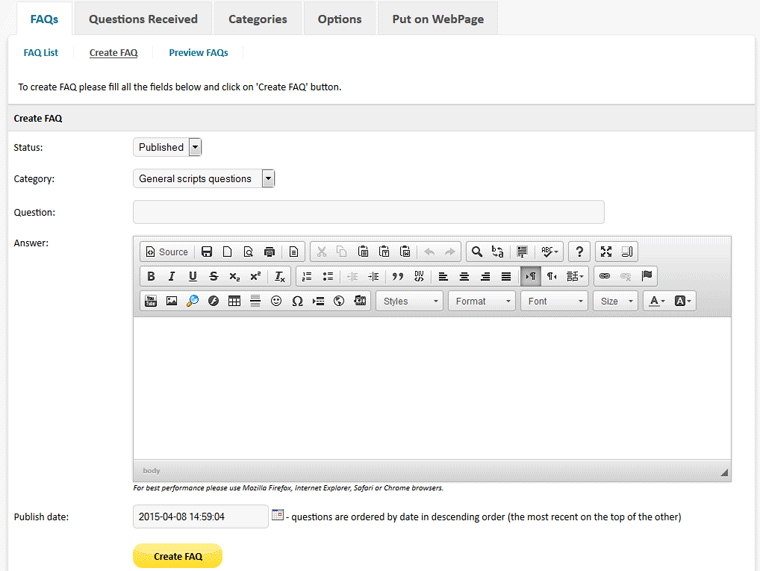 Complete the Question and Answer form and hit "Create FAQ" button. Create as many FAQs as you need. On this page you could Edit or Delete FAQs. Once the question is submitted, admin receive an email notice and the question could be answered in admin area -> "Questions Received". 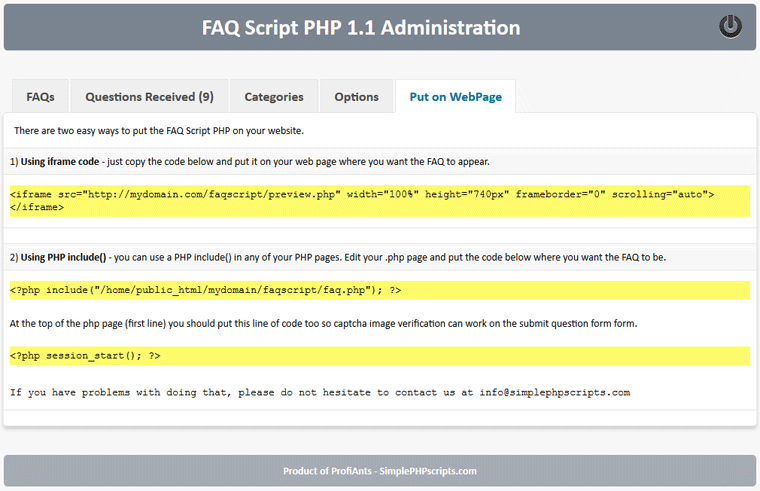 How to put FAQ Script PHP on your WebPage? You have two choices how to put the script on the webpage - iframe and php methods. Iframe method could be used on .htm, .html and .php pages, but php method could be used only on .php pages. 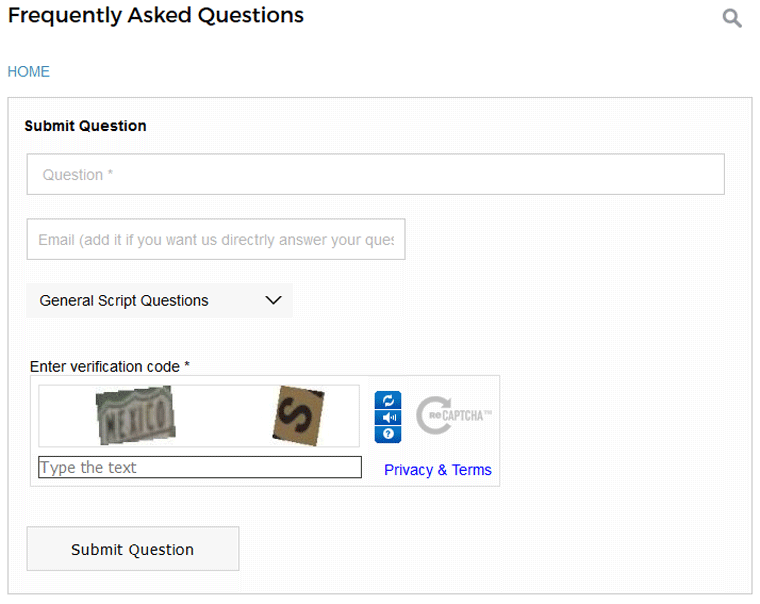 Note that if you use php method, you should copy session_start() code and paste it above all the codes on your web page, so the submit question captcha could work normally.